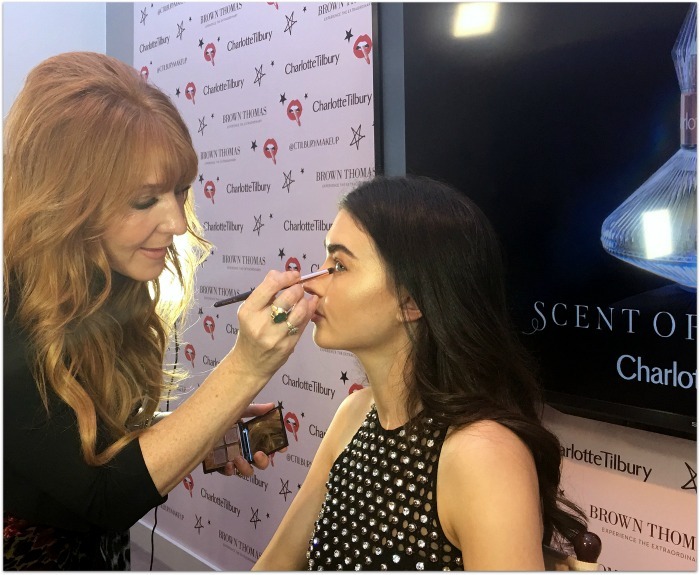 There’s lots of festive fun to be had at this time of year, and if you’re looking for a beauty look that will see you through it all with ease, read on! 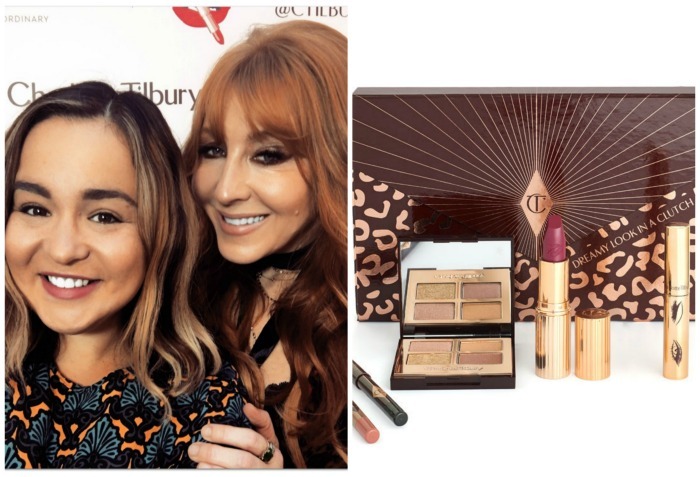 According to Charlotte Tilbury, her Dreamy Look In A Clutch is a universally flattering makeup look that will see you through the office Christmas party to get-togethers with friends to Christmas day itself. It’s designed to suit all ages, ethnicities and colourings and, having seen a varied room of bloggers and journalists sporting the look, I’d have to agree. The look is inspired, Charlotte tells us, by Victoria's Secret models with their otherworldly beauty and starlit skin. Now despite the name, it’s worth noting this doesn’t actually come in a clutch bag but in a clutch-shaped box - inside which you’ll find a five-piece makeup set plus a lipstick-shaped USB with an exclusive video tutorial on achieving the look. 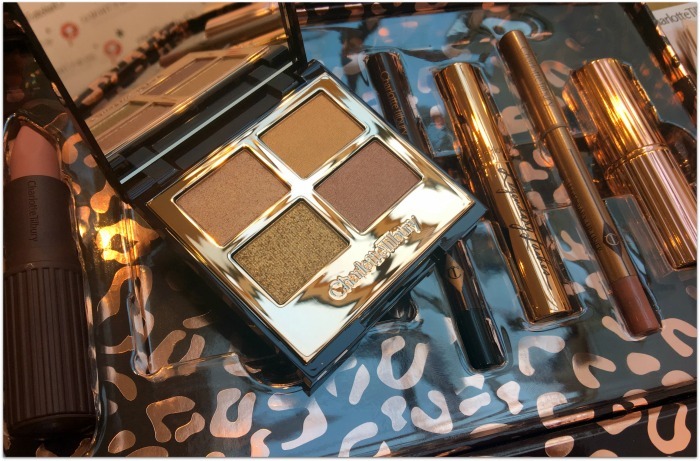 Two of the products are full-sized: the 4-in-1 Luxury Palette, Legendary Muse, which has sold out individually just about everywhere, and the Hot Lips lipstick in the shade Secret Salma, named for Salma Hayek. You also get a cute little trio of handbag friendly minis: a Legendary Lip Liner in Bitten Kiss, Legendary Eye Liner in Bedroom Black, and Legendary Lashes mascara. As with all Charlotte’s eyeshadow palettes, with this one you get a prime, enhance, smoke and pop shade, all pale, shimmery hues of gold and rose gold that I wouldn’t ordinarily have reached for on their own. 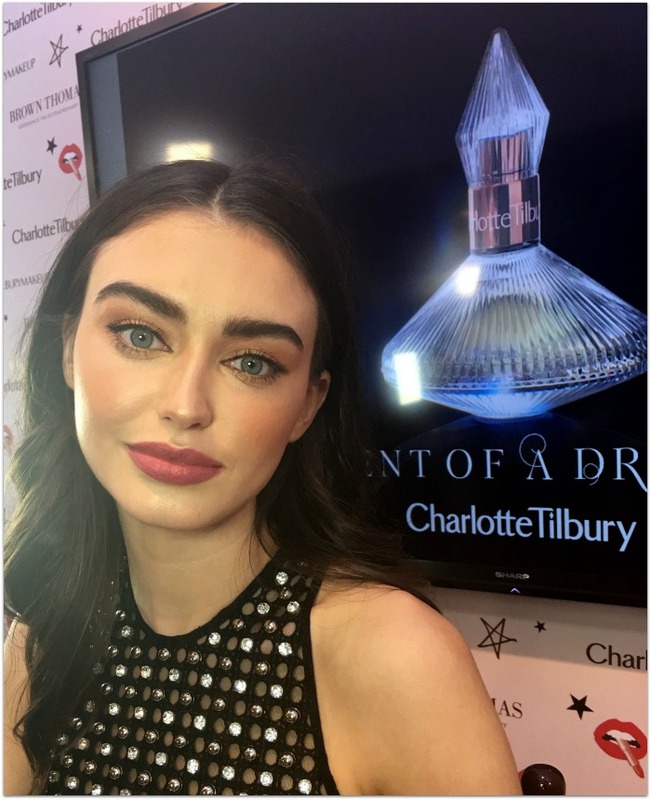 I was actually expecting a darker shade to anchor the look, but Charlotte got around that by using the bronze shade from her contour palette across the sockets of the eyes. That’s actually a great tip: if you don’t have the exact palette, any bronzer will work, although hers is definitely worth the investment. But back to the eye palette, and it’s actually very usable: as Ms Tilbury says, there’s no need to be afraid of intensity with these colours; they can be built up and layered as much as you like and they’ll never look harsh. And they look gorgeous with the lipstick in the set, which is a pretty, rosy mauve in a smooth, creamy matte formula. The Dreamy Look In A Clutch is €120 and would make a lovely gift for a makeup lover. 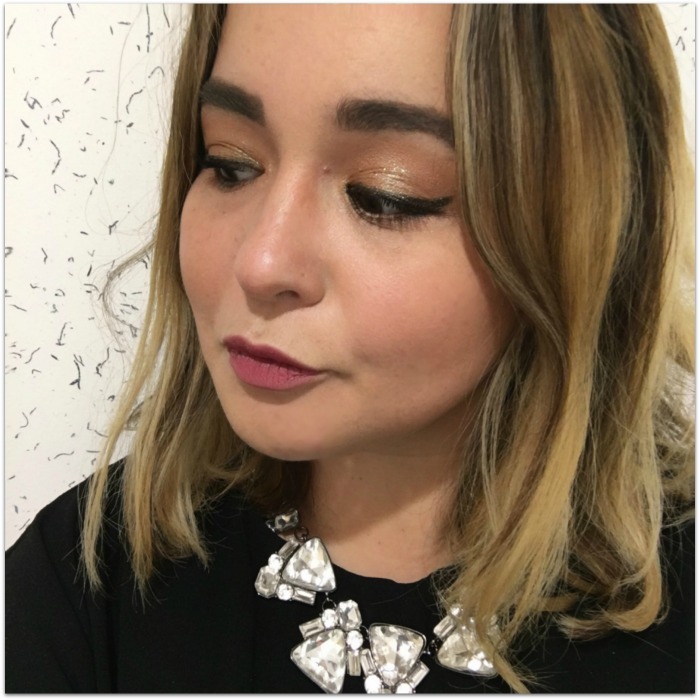 If you want to spend a little less, there's a Tilbury treat, treasure or trinket to suit all budgets (and that trio of mini lipsticks I fell in love with last year is back, for just €40). Are you a fellow Tilbury fan?